There will be a wonderful art show taking place in Cashiers NC this weekend. The “Summer Colors Fine Art Show” kicks off this Friday evening, July 25, from 5 to 7 pm, with an opening reception where lucky attendees can meet the artists, get a sneak peek at the show, and enjoy each other’s company. The show will be held on Saturday and Sunday, July 26 and 27, at the Sapphire Valley Community Center, from 10 am to 5 pm each day. This special event is a highlight of the summer for art enthusiasts in the Cashiers area. Many mediums will be on display, including oil paintings, watercolors, mixed media, photographs, sculptures and glass. There will also be unique jewelry and all pieces on display are original pieces of art. If you will be in the Cashiers/Highlands area this weekend this show is not to be missed. 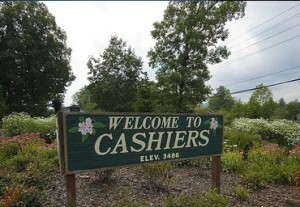 Contact me, Lynn Kimball, today to learn more about living in Cashiers NC. I welcome the opportunity to help you get to know our unique area. My knowledge and experience can have you feeling right at home while I get you started on your Cashiers real estate search. Click here to learn more about the “Summer Colors Fine Art Show” as well as other events taking place in Cashiers this summer.